Are you thinking of buying your first home in Connecticut? 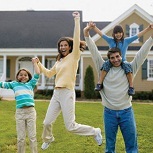 Would you like information on the various programs and incentives available in CT to help you purchase that first home? If so, you’ll find what you are looking for here. The state of Connecticut provides many state and local programs – including free grant money – for its residents who need help with the down payment and closing costs. There is also Federal Grant money available as well as grants from private foundations. Details of the programs are listed below. This is free money that shouldn’t be passed up! 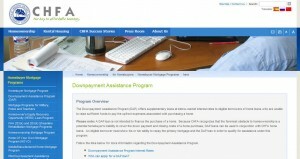 The value of the assistance provided by these programs can be in the thousands of dollars. It will be well worth your time to educate yourself about the programs in CT that are available to you. The Office of Housing and Community Development (OHCD) is the agency’s principal point of contact for financial assistance to local housing authorities and other non-profit and for-profit housing developers in the planning and development of new single and multi-family housing units as well as the preservation of existing multi-family housing developments. This office maintains a staff of housing specialists who are knowledgeable of the many local, state and federal housing programs and services in Connecticut. OHCD is also responsible for long-term compliance monitoring to assure adherence to statutes, regulations and financial assistance agreements for housing development and preservation activities funded by the agency. “The Downpayment Assistance Program (DAP) offers supplementary loans at below-market interest rates to eligible borrowers of home loans who are unable to raise sufficient funds to pay the upfront expenses associated with purchasing a home. “The Town’s Homeownership Assistance Program is funded by a grant from the U.S. Department of Housing & Urban Development (HUD). The program is intended to expand homeownership opportunities for income-eligible, first-time homebuyers who qualify to purchase a home but may not have sufficient financing on their own to complete the purchase transaction. Assistance may be used toward the purchase of any owner-occupied, single-family, two-family or condominium unit in Fairfield. 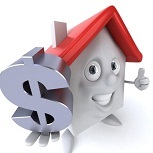 The program is not available for the purchase of non-owner occupied, investment properties. The Town provides two forms of assistance under the program. Downpayment Assistance: The Town will provide 50% of the required down-payment up to a maximum of $30,000 toward the purchase of a home through a no-interest loan, payable when the owner re-finances, transfers the property or passes away. “The Housing and Property Management Division is working to help Hartford’s citizens achieve the goal of homeownership. We currently offer loan programs that primarily serve low-income and moderate-income households seeking to purchase a home in the City. “The primary purpose of the Homeownership Appraisal Gap Financing Program is to provide financing for the new construction, and or rehabilitation of vacant, deteriorated homes in order to increase the rate of homeownership in Hartford. “1. Is HouseHartford assistance available to buy homes outside of Hartford? No, HouseHartford is a City of Hartford program providing assistance to citizens that want to purchase a home within the City of Hartford. 2. Is HouseHartford available to Hartford residents only? No, residents from other towns can apply for assistance to purchase a home in Hartford. 3. 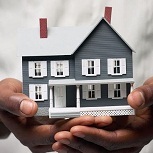 What types of properties are eligible for assistance? One-four (1-4) family homes and condominium units. Generally speaking low & moderate income potential homebuyers can apply. 5. 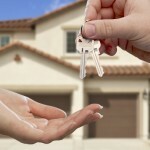 What is the maximum amount of homebuyer assistance that I could receive? “HDF’s First-Time Homebuyers Program can help you get ready to buy your first home with our following services: FREE Mortgage Readiness Assessment, One-on-One Counseling, Financial Coaching Services, and Homebuyer Education Classes. * Our process will help you develop action steps to correct credit problems, increase your savings, reduce debt, and move towards homeownership. In July, 2006 Yale-New Haven Hospital (YNHH) announced a new program offering assistance to hospital employees who are first-time home buyers. The new Home Ownership Made Easier (H.O.M.E.) program provides eligible full-time employees up to $10,000 in forgivable five-year loans, as well as other incentives and home buying support, when they purchase a home in the city of New Haven. The hospital will pay down the amount of the loan if the employee continues to work at YNHH and live in the home for five years. If hospital employees purchase a home in one of four New Haven neighborhoods. This entry was posted in Down Payment Assistance, First Time Home Buyer Grants, First Time Home Buyer Info, First Time Home Buyer Programs and tagged Closing Cost Assistance Program, Connecticut HUD, CT Office of Housing and Community Development, Down Payment Assistance Program, Homeownership Appraisal Gap Financing, Stamford HOME Program. Bookmark the permalink.